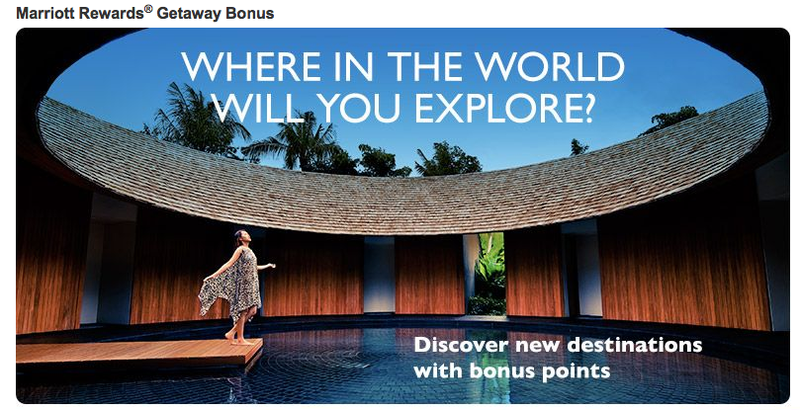 Marriott's latest systemwide promotion launched yesterday, called the Getaway Bonus, it is very similar to their often seen MegaBonus promotions except that there are not free night certificate options this with this one only bonus points. We received the double points after the second stay. What offer did you receive?